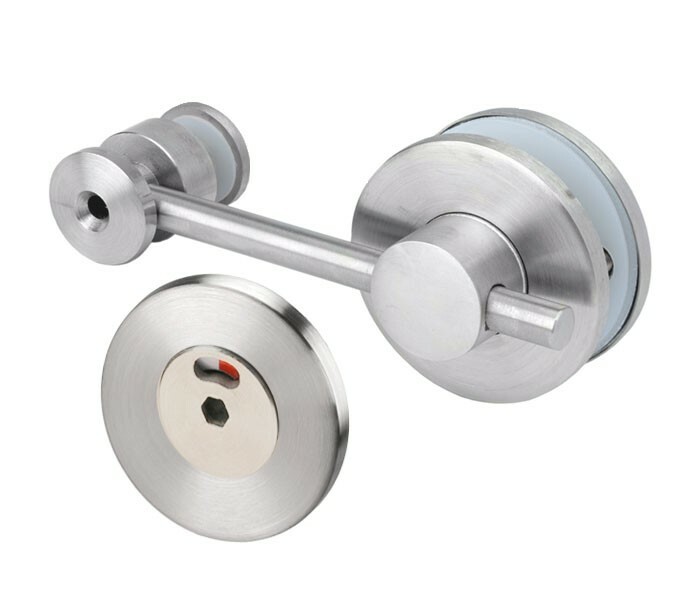 These contemporary cubicle locks with emergency release are the perfect solution for those looking to fit cubicle locks to 10mm glass or 13mm board, but can be configured for use on 20mm board if used in conjunction with longer spindle and fixing bolts. This item is also with a protective coating to for optimum corrosion resistance and is supplied with concealed back-to-back fittings to ensure a secure fit. Our glass cubicle locks are sold singly and include the lock, indicator and keep required for fitting to a flush cubicle door. For those looking to configure this product for an open-in door this item will need to be installed in conjunction with an extension keep (T203SM/F1). If fitting this product onto an open-out door then an open-out bar (T203SM/F2) will need to be installed in place of the straight tommy bar supplied. Both of these products can be ordered separately as required or from the options above.